The big news before the election hit the tribal areas of Pakistan known as national assembly passes KP-FATA merger bill. The merger of Federally Administration Tribal Areas FATA and Khyber Pakhtunkhwa (KP) province was successfully celebrated on Thursday. 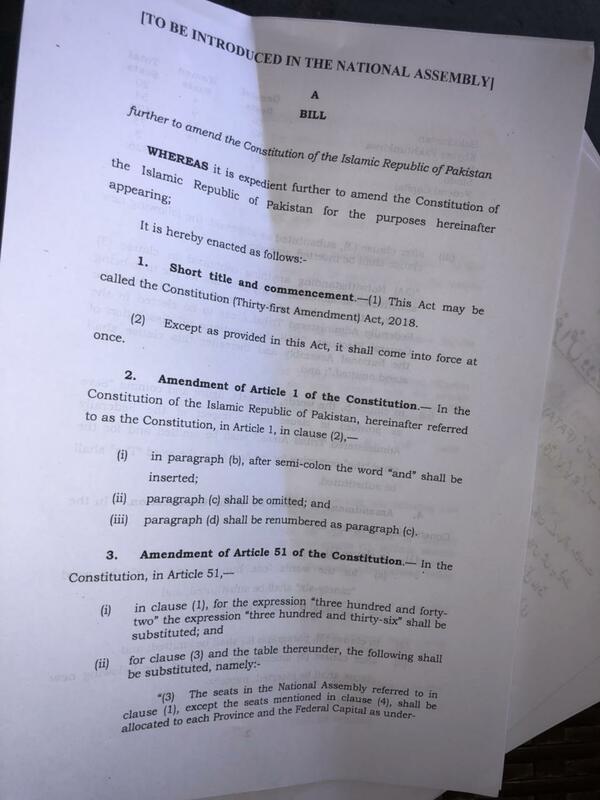 Remember that FATA reforms bill moved by Law minister Chaudhry Mahmood Bashir Virk but two third majority must accept the bill for fully approve. 229 members voted in the favour of bill after the detailed discussion about the bill. Everything was settled in the afternoon. Jamiat-e-ulema-Islam (JUI-F) and Pashtoonkhwa Milli Awami Party (PkMAP) both oppose the FATA reforms bill. It is all about FATA Reforms Bill Passed By National Assembly. They have their own concerns over the acceptance of the bill. There are many colonial-era laws governing the Federally Administered Tribal Areas (FATA). These laws have negative impact upon the development of the area. Pakistani courts deliberately has increased the chances to be known as sole mover of the development element with respect to the residents. First time, parliament saw the positive face of opposition because they support for the bill. After the voting over there, Fata Reforms Bill Passed By National Assembly. Prime minister shahid khaqan abbasi thanks legislator after the vote for the FATA reforms bill. After the parliament approval now senate will pass it. The final signature of the president will necessary after Friday (25 May 2018) voting to pass the bill as the law. So, the upper house of the parliament will decide the fate of the Fata Reforms Bill passes by the NA on Thursday. Prime minister personally thank to Khursheed Shah, shah Mahmood Qureshi and Faoorq Sattar to support. Imran Khan celebrated the passed bill as the great victory for people of Pakistan.